A synchronous condenser, which is also known as synchronous compensator or synchronous capacitor is a device similar to a synchronous motor. It is designed such that its shafts spin freely. Its primary function does not include conversion of electric energy to mechanical energy or vice versa, but to regulate conditions on the electric power transmission grid. The field in synchronous condenser is controlled by a voltage regulator, which either absorbs or generates reactive power as required to adjust the voltage of the grid, or to enhance power factor. Its installation and operation are same as that of large electric motors and generators. 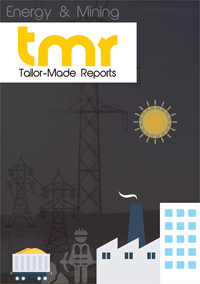 The growing reliance on renewable energy sources for power generation is stoking the growth of the global synchronous condenser market. The soaring need for power correction factor is also stimulating the growth of the market. An over-excited synchronous condenser has a leading power factor, rendering it useful for power factor correction of industrial loads. Moreover, the rising emphasis on long service life is boosting the demand for synchronous condensers. On the flip side, the high costs of equipment and maintenance are impinging on the growth of the market. In addition, the availability of low-cost alternatives is exacerbating the problem, thereby hampering the growth of the market. However, the expanding high-voltage direct current (HVDC) network is likely to create lucrative opportunities for players in the market. Over the past decade, there has been an impressive rise in the uptake of renewable energy sources for power generation. Governments worldwide and several organizations are paying high attention to cost effective solutions for renewable energy production. This, in turn, is working in favor of the growth of the global synchronous condenser market. Synchronous condenser manufacturers are benefiting from contracts for large power projects, leaving a massive impact on the market. For instance, in June 2015, Voith Hydro and its consortium partner received the contract from Manitoba Hydro for the Riel Synchronous Condenser. The project includes the design, supply, installation, and commissioning of four synchronous condensers rated 250 MVAR. These condensers will support Manitoba Hydro grid in reactive power and will be sealed to allow for hydrogen cooling. The key segments studied in the report on the basis of geography are Asia Pacific, North America, Latin America, Europe, and the Middle East and Africa. North America is expected to be a prominent destination for key players in the global market. Canada is witnessing a sharp rise in the demand for synchronous condensers, particularly new installations. In the U.S., the conversion of old power plants to synchronous condensers is driving the market. The operation of many thermal power plants is being shut down in the country to curtail pollution and encourage renewable power generation. This is also likely to create a staggering volume of demand for these condensers in the region. Asia Pacific is estimated to post a healthy CAGR during the forecast period, owing to the growing investments in the upgradation of existing power networks. Key players in the global synchronous condenser market are striving to win contracts for new installments and for the refurbishment of old power plants in order to expand their businesses. Agreements and product innovation are also commonly adopted strategies by market participants to stay relevant. Some of the prominent companies operating in the market are General Electric, Eaton Co. Plc., Siemens AG, Voith GmbH, ABB Ltd., Toshiba Corporation, Fuji Electric Co. Ltd., and Hyundai Ideal Electric Co.